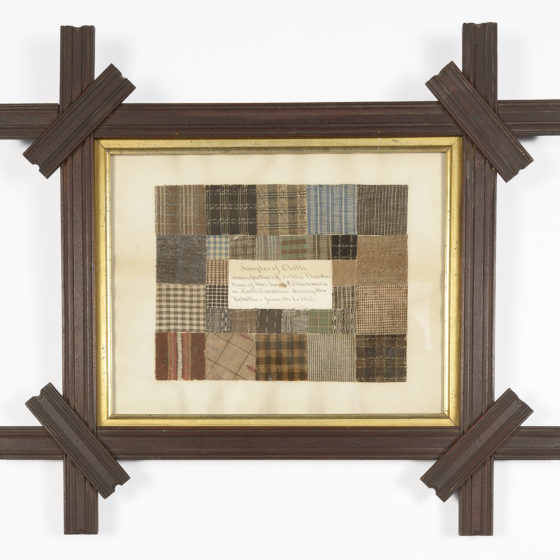 These striped, checked, and plaid cloth samples preserve one story but conceal another. 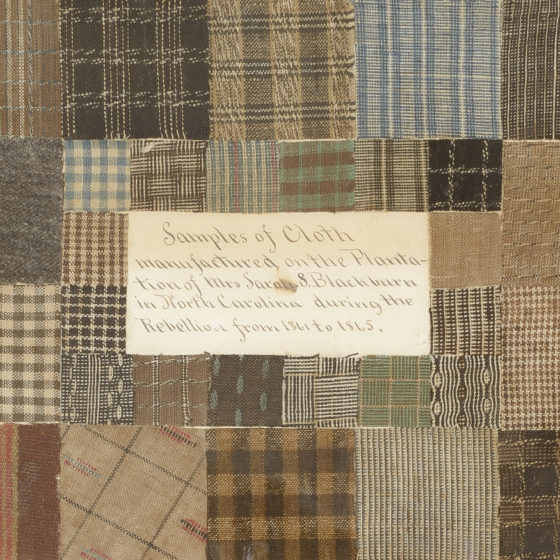 The handwritten note in the center tells us that the swatches were made in the North Carolina plantation of Sarah S. Blackburn (1808-1873) at the height of the Civil War. Many decades after the war, they were arranged in this elaborate frame from the late 1800's and kept as a memento of Sarah's struggles and strength during that difficult period. By focusing on Sarah, however, this object also erases the history of the enslaved women who likely produced the textiles. 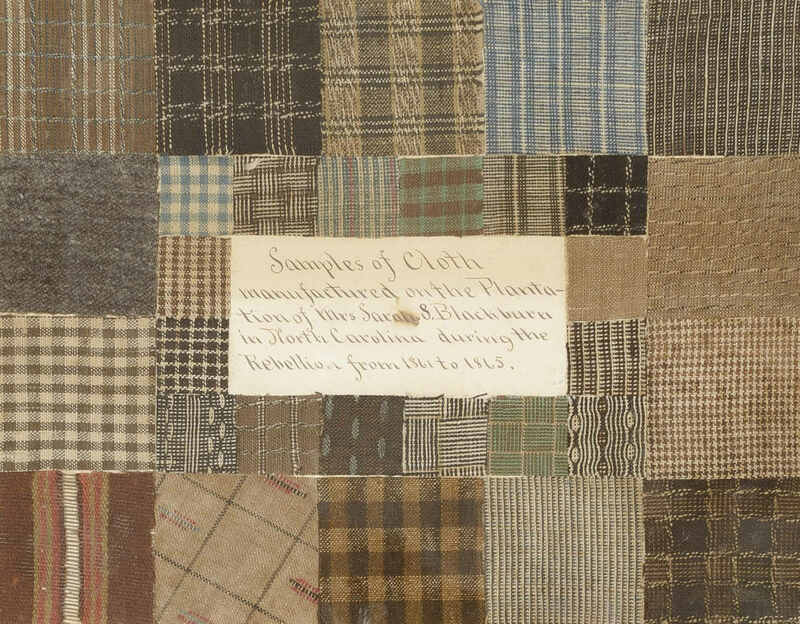 Before 1863, the Blackburn family owned more slaves than most other Carolinians and engaged that slave labor to produce "homespun" cloth on their plantation. In addition to that domestic production, the Blackburns also likely sent cotton and enslaved laborers to work at local textile mills and factories. 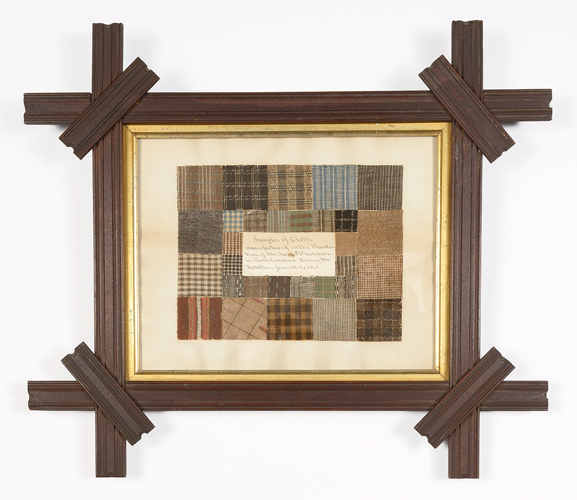 Like public Confederate monuments, these cloth samples were framed to preserve a specific memory, but we must not forget the more painful history they conceal.